Intro: Congratulations, you are now officially ⅔ of the way through learning about those three pillars of photography, ISO, Aperture and Shutter Speed! Shutter speed is by far the easiest concept to grasp so sit back, relax and feel like a genius as you work your way through today’s lesson. By the way, if you’re still feeling a little muddled hang in there, I promise it will get clearer to you as you continue to learn and actually start shooting in manual. Definition: The length of time a camera’s shutter is open when taking a photograph. For the Techie In You: The shutter is a little door that separates your camera’s sensor from the light that the aperture of your lens lets in. It’s sort of like your eyelids, except they function in reverse. Instead of closing to block out the light, the shutter opens when you press the button to let IN the light. I shot a quick video of what happens inside your camera when you hit the shutter release button. The shutter is that flash of gray that you can barely see when the mirror goes up, the sensor revealed behind is green. Shutter-Speed from Jennifer Faris on Vimeo. Shutter speed is measured in seconds, or (more often) fractions of a second. My cameras shutter will go as fast as 1/4000 of a second or as slow as 30 seconds. Typically, for most portraits your speed will fall somewhere in the middle of those two ranges. Just to give you perspective, a human blink takes about 1/2 of a second. 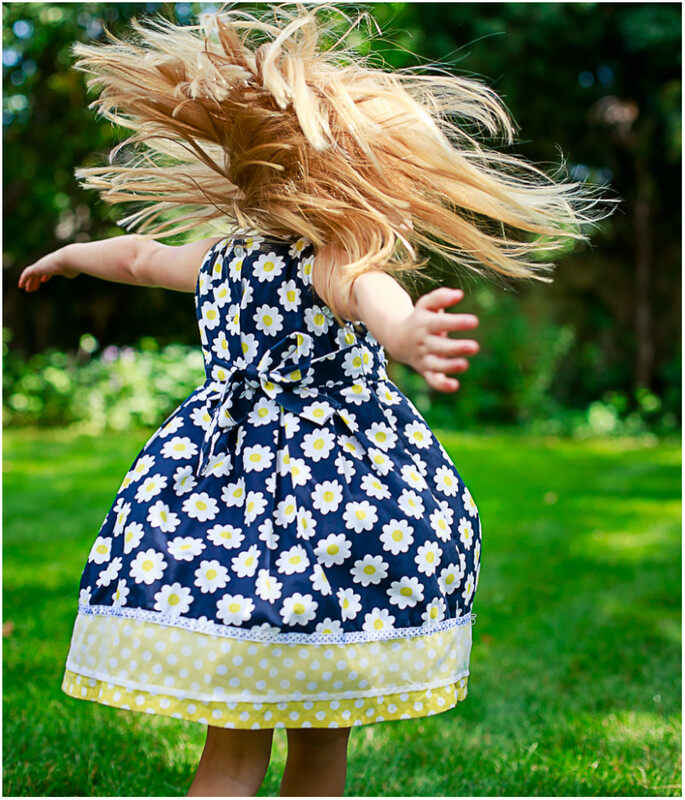 When your subject is moving, you will typically want a faster shutter speed. The reason is that if the shutter is open too long and the subject moves, or if you move or your hands shake, your photo will be blurred. 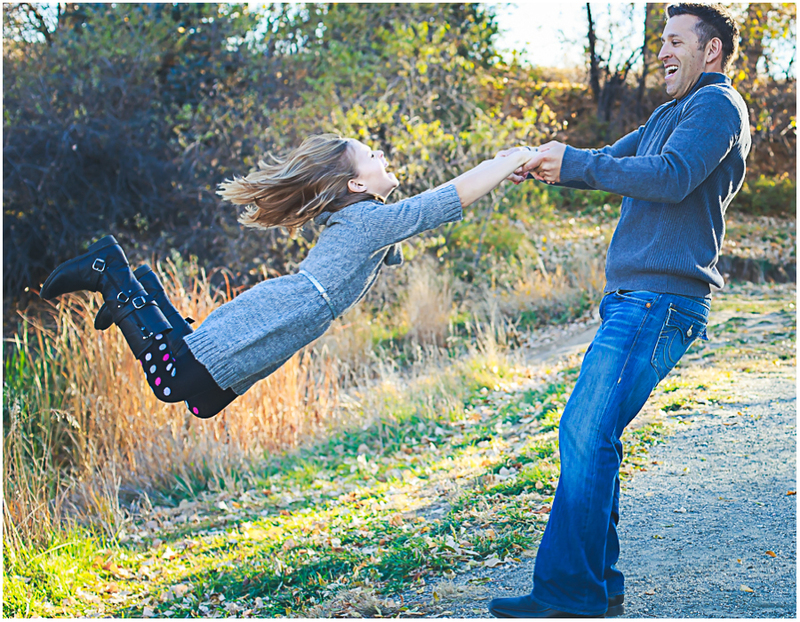 In this example, she was movin’. Running, spinning, you name it. So I kept my shutter speed at 1/1000 and that’s why the photo is like a freeze frame and you can see the detail. Had my shutter been much slower she would have been a blur. There are times however, when you might want the effect of a blur. If you’re shooting a waterfall for instance and you want the water to look smooth instead of choppy you would leave your shutter open for longer (choose a higher number). I took three different photos of my kitchen faucet with the water turned on pretty high. You’ll notice in the diagram below, that when I shot the stream of water at a shutter speed of 1/1000 of a second you can almost see the drops of water. It starts to get smoother at 1/200 of a second but on the far right, at 1/5 of a second is what my naked eye would see: a smooth stream of water. Any time you are shooting at any slower than about 1/100 of a second (lower denominator), you have to be super ninja still, or use a tripod. It’s possible to get a sharp photo but your subject really shouldn’t be moving at all and you pretty much shouldn’t be breathing. 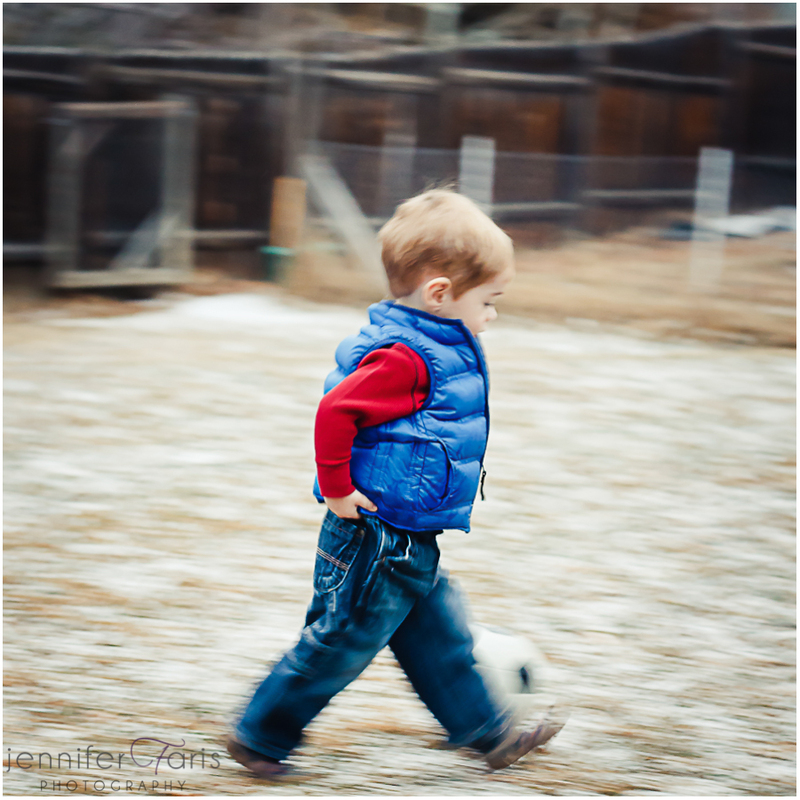 So what’s the downside to adjusting your shutter speed? If you said lighting changes you got it. Your changing the amount of time light is allowed to hit your sensor. This can be a problem for instance if you are indoors in poor lighting trying to capture a moving object. So to challenge what you know so far, can you think of a solution for this scenario by changing your other settings? What I would do first is raise my ISO as high as I’m comfortable doing so before losing too much definition. Next, if I was comfortable with lowering my f-stop number in order to increase my aperture (and therefore let in more light) then I would do that as well. This would be my last choice though because with a moving object I would have to be super careful the my focus was spot on because of the shallower depth of field. Clear as mud? We’re going to get you in the saddle and actually practice next so pretty soon you will be able to know how to change your camera’s settings in any given situation. If ISO is about sensitivity to light and aperture is about depth, then shutter speed is about motion. When you set the speed you’re telling the door to your sensor how long to stay open. It’s measured in seconds and fractions of seconds. Do you want to freeze a moment? You set your shutter speed the same way you set the aperture. Use the [Q] button on the back of your camera, scroll with your arrows to get to shutter speed (usually a fraction) and use your dial to set it to the number you want. Now set your shutter speed at 1/4000 and take a photo. It doesn’t matter at all what it looks like, I just want you to hear how fast your shutter is. Now change it to 1/5 and listen to the difference. 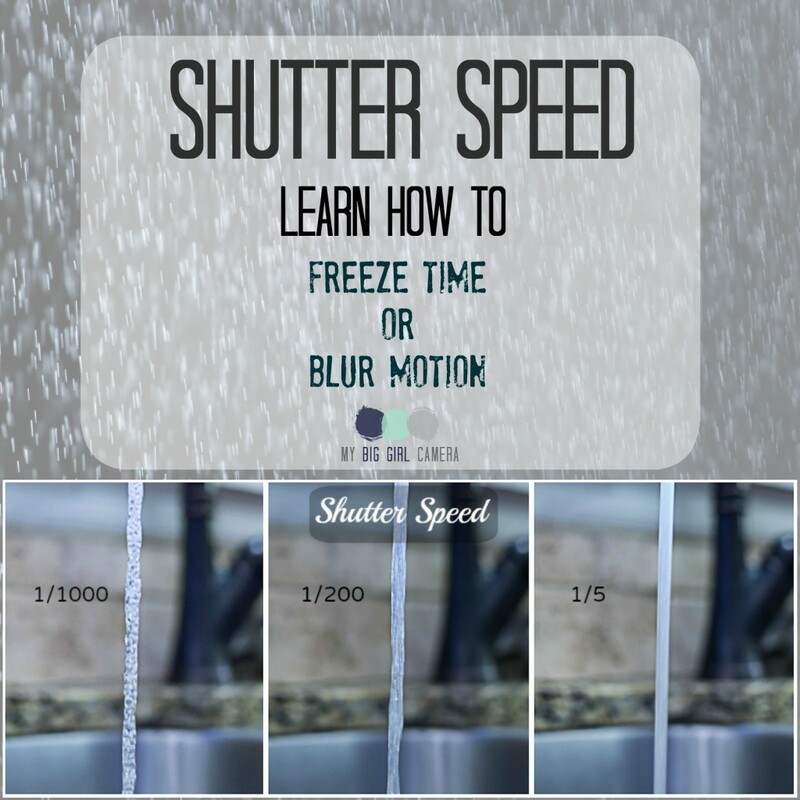 There you go – you’ve just mastered shutter speed!